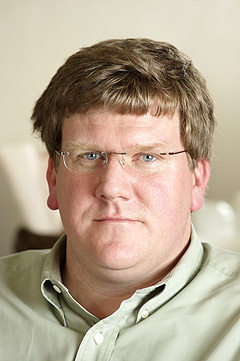 Ty Carlson is a founding member and chief technology officer of Pattern Computer Inc., a startup in stealth mode, where he is responsible for overall technical vision and strategy. Ty is an innovator and is passionate about aviation, emerging technologies, and education. He cares deeply about the environmental and social implications of technology. Ty specializes in machine learning, natural language systems, mobile technologies, semiconductor technologies, scalable cloud services, device platforms, technical architecture, and strategy. He is an experienced manager and leader of cross-functional teams. Prior to PCI, Ty worked at Amazon and Microsoft. At Amazon, he focused on developing innovative consumer products leveraging his expertise in semiconductors, devices, cloud computing, and software development. Ty spent four years leading a team of technical program managers; his team delivered the very successful launch of the first version of Amazon Echo, Amazon Tap, and Echo Dot in early 2016 and delivered the Echo Show to manufacturing - devices powered by the Alexa voice cloud service. Ty worked closely with the device firmware and natural-language teams to enable user experiences including music, shopping, timers, alarms, and the synchronized "voicecast" second-screen experiences on Kindle and the Echo App for Android and iOS platforms. Ty developed the Airport Status Alexa applet (Java) and has filed nine patents. At Microsoft, Ty spent 15 years in various roles working on multi-versions of the Windows (starting with Windows 1.03) and Office product lines. As director of technical strategy, for eight years he worked closely on Microsoft's semiconductor strategy, partnering with AMD, Intel, Samsung, Qualcomm, and ARM. He was one of two primary drivers behind the shift to Windows on ARM architecture. He concluded his work at Microsoft working on Office 365 cloud services. Ty was principal lead product and program manager for enterprise software platform worldwide deployments, spanning multiple releases of the Windows desktop and server operating systems. During his Microsoft tenure, he became an expert in networking, network security, enterprise systems, network architectures, and line-of-business applications. Ty was a main author of the Windows and Windows NT Resource Kits and a wrote a series of internal technical Microsoft ("Think Week") papers. Ty loves the outdoors and is active in his local cycling community for marathon and ultra-marathon cycling events, including RAMROD and the Death Ride. He enjoys sea kayaking, scuba diving, hiking, and aviation. He holds FAA Private Pilot and A&P ratings. Ty received a BS in Computer Engineering and Engineering Physics with honors from Pacific Lutheran University. He and his family live in Redmond, Washington, and Tofino, BC, Canada.